Ingredients: Aqua (Water), Gluconolactone, Butylene Glycol, Isocetyl Stearate, Glyceryl Stearate, PEG-100 Stearate, Stearic Acid, Cyclopentasiloxane, Isododecane, Triethanolamine, Dimethicone, C12-15 Alkyl Benzoate, Cetyl Ricinoleate, Macadamia Ternifolia Seed Oil, Glycerin, Cetearyl Alcohol, Diisostearyl Malate, Arginine, Oenothera Biennis (Evening Primrose) Oil, Tocopheryl (Vitamin E) Acetate, Magnesium Aluminum Silicate, Steareth-2, Xanthan Gum, Disodium EDTA, Methylparaben, Chlorphenesin, Propylparaben..
Been using this product for years - it's the greatest! I purchased this product after a recent flare of contact dermatitis. I used this moisturizer to help heal the red, inflamed skin. After using this moisturizer for just a couple of days, my skin showed improvement - it was clearer and smoother. I was impressed that it calmed my inflamed skin so quickly. Highly recommend especially for sensitive skin types. 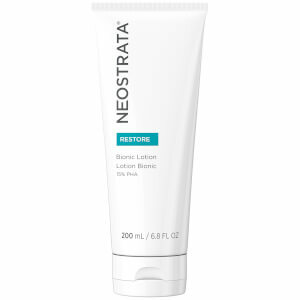 I normally have clear skin, have been a NeoStrata brand loyalist and normally receive complements on my complexion to which I respond, it's NeoStrata. However, once I started using their Ultra Moisturizing Face Cream, I began having large painful pimples with huge pustules. It took a few weeks and increasing breakouts to realize this must be the new product since it was the only change I had made. have used this moisturizer for several years, love it! This is a perfect moisturizer. Works great with makeup. I have combination skin and this really balances me out. I highly recommend this product. 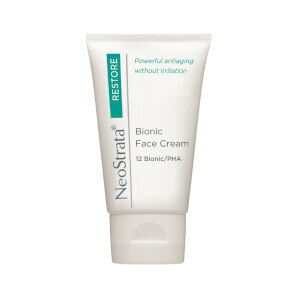 I use this in conjuction with Duac Gel (a Rx) at night. It is a great moisturizer, that also exfoliates. I have been using this cream for about 12 years. I am 52 and have now wrinkles. Most people think I am 40, however I have had people ask me if I am in college! This product is OK. I have acne prone skin sometimes need to put Benzol Peroxide on first. So when I put this on after, it flakes off. It does feel good on the skin though and when I don't use Benzol Peroxide, it's fine. very good cream , gentle for all skin types , even on inflamed skin i wont feel the sting.